Balanced Body brings the precision and movement principles of Pilates to suspension training with the Bodhi Suspension System™. Leaning into the ropes takes the body out of alignment with gravity causing the core stability muscles to fire and developing integrated, whole body strength and flexibility. Bodhi’s four points of suspension maximize strength training and enhance proprioception while providing endless opportunities for creativity. During this one day course, learn and practice primary Bodhi exercises in each position and discover how easy it is to design and deliver dynamic classes using the Balanced Body Programming System. You will quickly see why we feel the Bodhi Suspension System is the ideal compliment to a Pilates or personal training practice, Bodhi adds standing, balance and stability elements to re–ignite your studio and excite your clients. 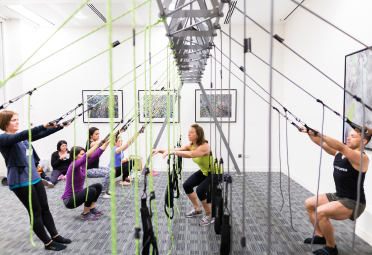 This two day course delves deeper into suspension training and how it changes the body. You will not only learn and practice Bodhi exercises in each position, but you will teach, explore and learn how to successfully cue clients of all abilities to maximize the strengths of the Bodhi system. You will also discover how easy it is to design and deliver dynamic classes using our Balanced Body Programming System to help you understand the purpose of each exercise, common regressions and progressions and how to modify for clients at any level of ability. Exercise Instruction in the fundamental Bodhi exercises. Detailed, manual DVD and ongoing video support. 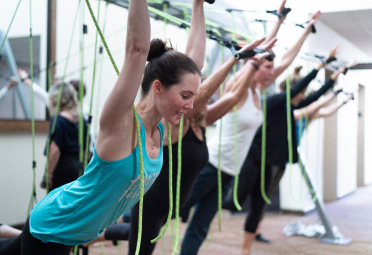 Progressions, regressions and modifications to make suspension training useful for everyone.